Cycling enthusiasts may not baulk at the thought of spending several thousand dollars on a decent bicycle, but even they might find Audi’s latest two-wheeler priced a little steep. So, just how much does this new ultra-light road bike cost? $5,000? $10,000? Maybe even $15,000? Guess again — the Audi Sport Racing Bike costs as much as some low-cost cars, with a price tag coming in at over $19,000 (2,370,000 JPY). If you’re wondering what a $19,000 bicycle gets you, then it isn’t much — but that’s kind of the point. 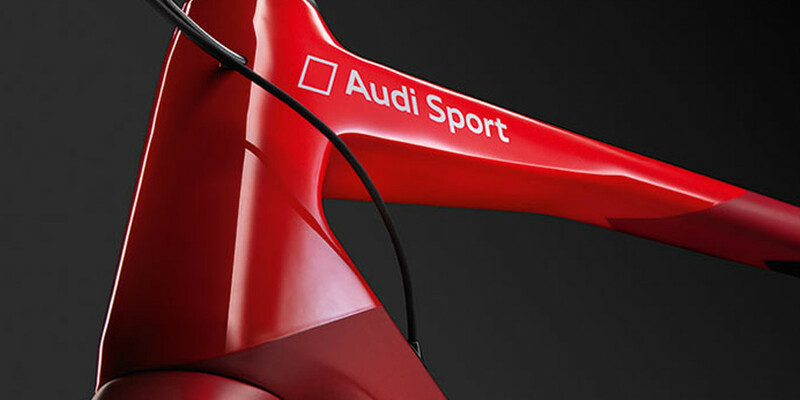 The Audi Sport Racing Bike makes its airy attributes something of a selling point, with the entire carbon-fiber frame weighing just 790 grams. That’s lighter than just five iPhone 6 Plus handsets, and in the interest of balance, it’s lighter than five Samsung Galaxy S6 handsets too. Only 50 of Audi’s lightweight cycles are to be made available worldwide — by request.